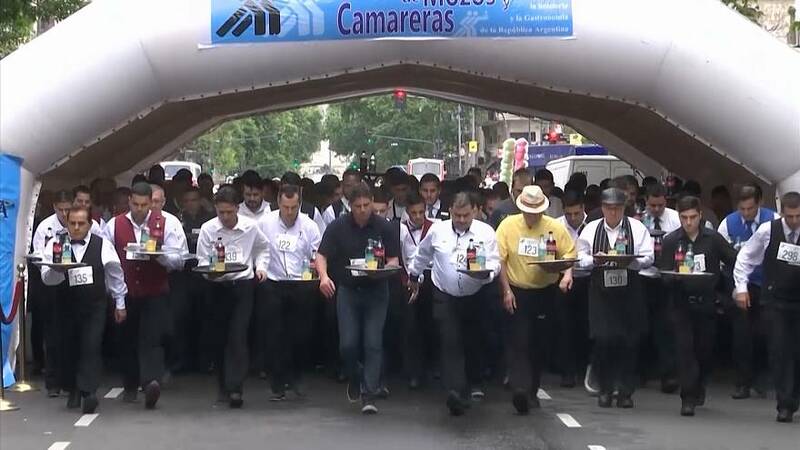 A total of 368 men and women from all over Argentina took part in the 1,600-meter race through Avenida de Mayo, one of the capital's main avenues. There were various age categories. The winner of each category was the person who crossed the finish line first with their tray intact.